Boy Scout merit badge for "Mining in Society"
The Boy Scouts of America have officially unveiled the first "Mining in Society" merit badge, according to Kelly Norton, head of the Arizona Mining Association. 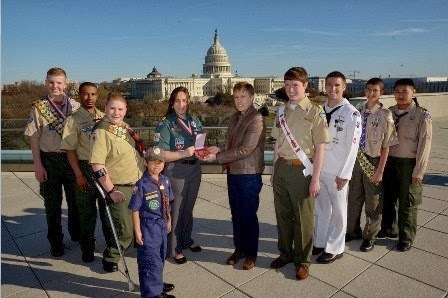 "Whether it's the source of the metal in a Dutch oven or the key components in a smartphone, mining affects Scouts both in their Scouting activities and in their everyday lives, making this Mining in Society merit badge a great way for Scouts to gain a better understanding of some of the key building blocks of commonly used items," Chief Scout Executive Wayne Brock said. 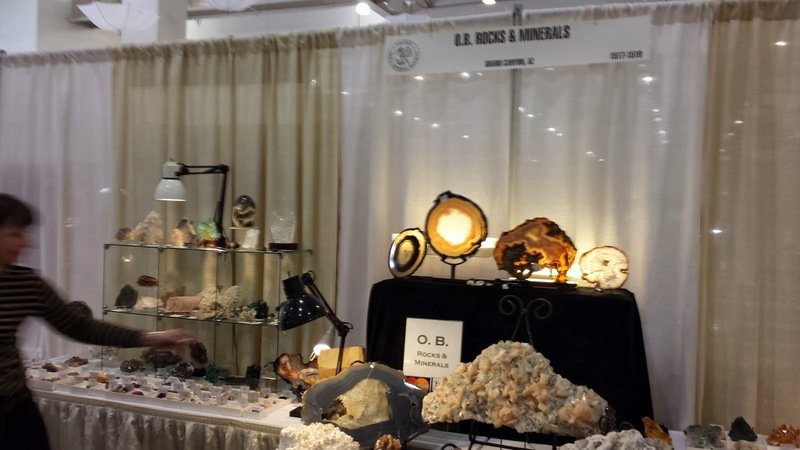 The Society for Mining, Metallurgy & Exploration Inc. (SME) helped the BSA develop the merit badge. "By providing a factual and comprehensive program of instruction, the Mining in Society merit badge ensures that, for years to come, members of the next generation will be introduced to the importance of mining and minerals in their daily lives and have the opportunity to learn about careers in the industry," said former SME chairman John Murphy, who chaired the merit badge committee. SME's team of experts worked closely with the Scouts to shape the program with its focus on mining's key components of exploration, permitting, excavation, processing, production, safety and reclamation. 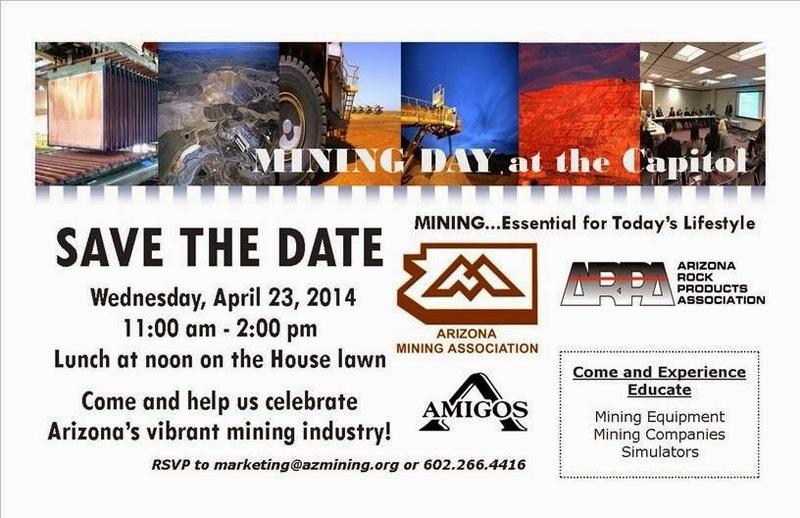 A coalition of Arizona's mining associations are holding an informational program at the Arizona State Legislature on April 23, that will include displays of mining equipment and simulators on the lawn next to the House building. Augusta board rejects HudbBay offer; bidding war starting? The Augusta Resources board of directors recommended that its shareholders reject the HudBay takeover of the company. 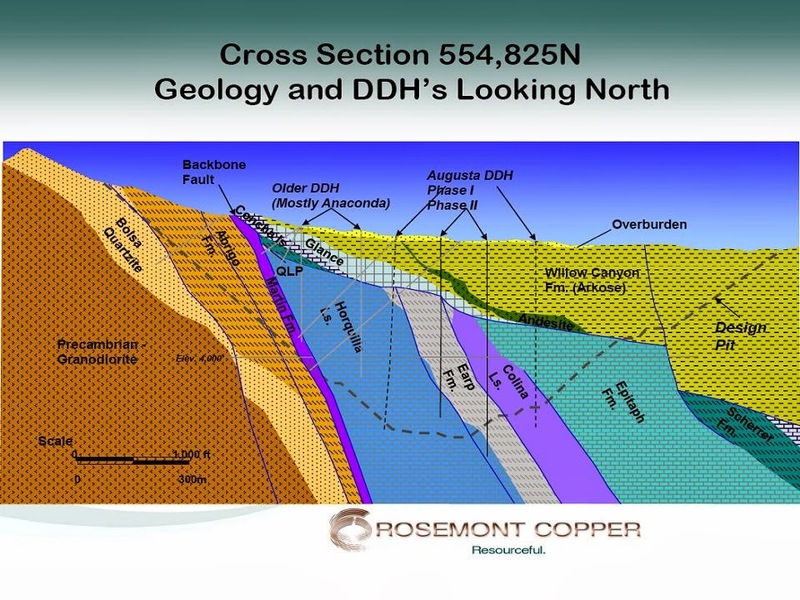 They reportedly have at least 1/3 of the stock committed to that position which is enough to kill the offer, which is aimed at acquiring the Rosemont copper property which is going through final steps of permitting. 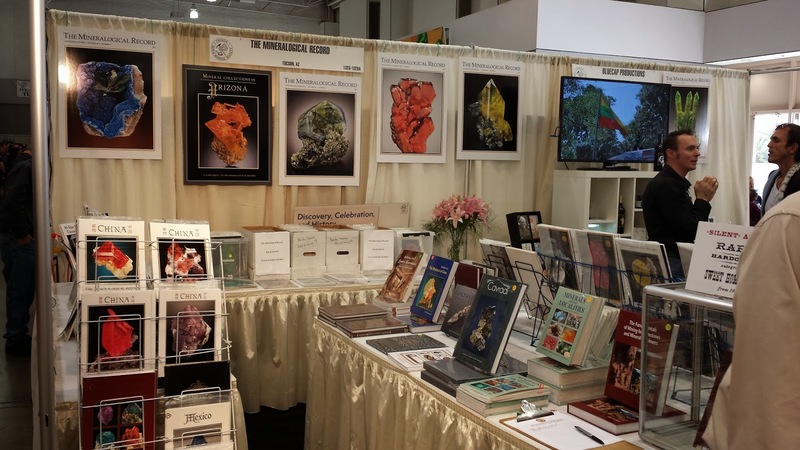 Arizona mineral dealers (and one publisher) were prominent on the main floor of the just-completed Tucson Gem and Mineral Show. 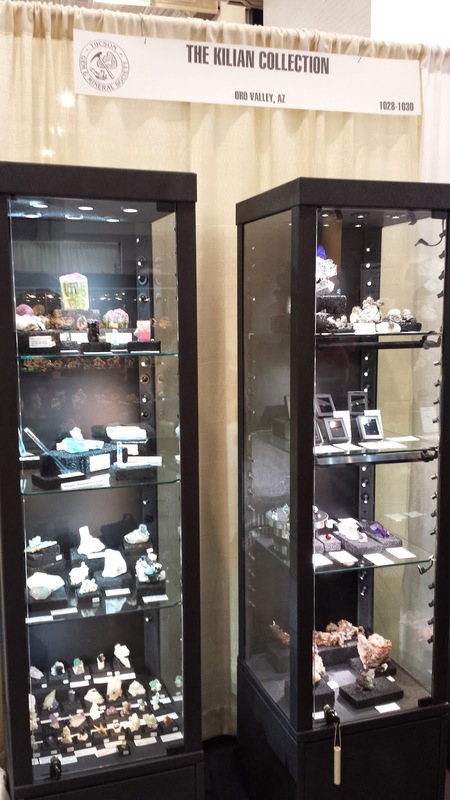 I think I got snapshots of each of them (but not the local jewelers). 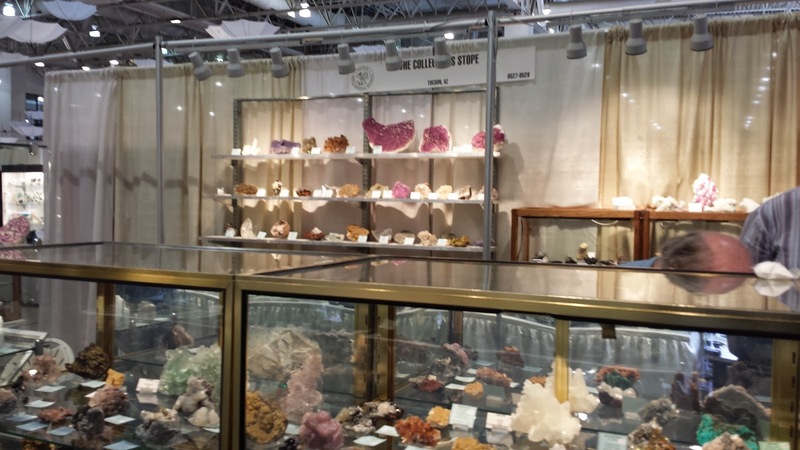 The Tucson gem and mineral shows are over for this year and everyone's exhausted. There were so many meetings, conferences, speaking obligations, and deals, that there was no time to share so much of what was going on as it was happening. 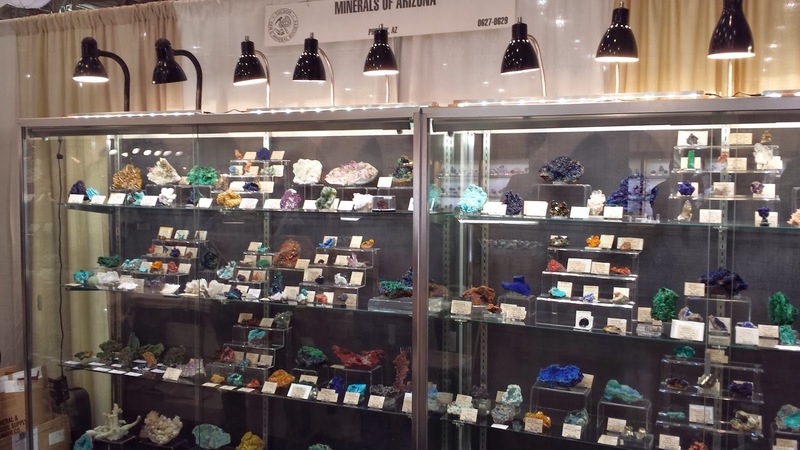 I've never made it to the American Gem Trade Association's GemFair that was held at the Convention Center, February 3-8. 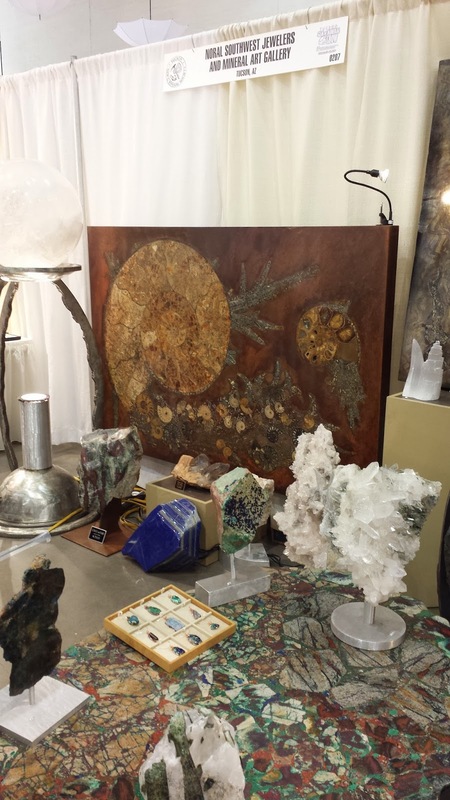 I tend to seek out the fossils and minerals. However, friends who came over for dinner this weekend, were there and filled us in on this event. 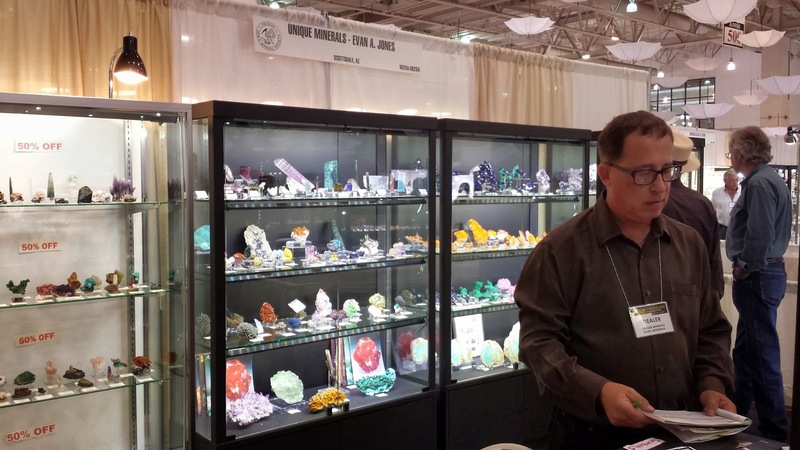 The estimate is that the value of gems on sale on the floor exceeded $5 billion in value. Freeport McMoRan Copper & Gold surpassed Chile's state-owned Codelco in 2013 to become the world's largest copper producer, according to an analysis by the mining magazine LatinoMineria. 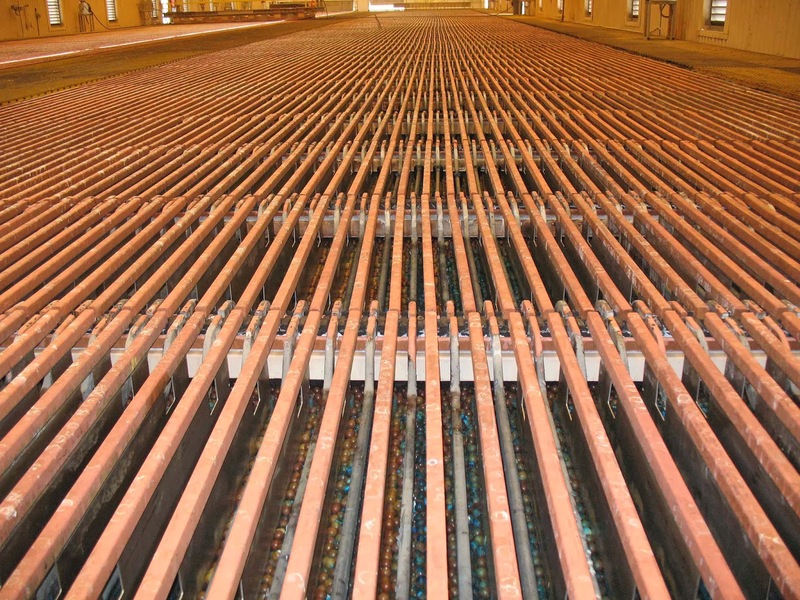 Phoenix-based Freeport produced 1.87 million tons of copper in 2013 compared to 1.79 million tons by Codelco. Freeport reports a big jump in production from their Grasberg mine in Indonesia and operations in Africa. The response from an industry insider when I shared the news, was "Finally!" molybdenum concentrates, sand and gravel (construction), cement (portland), and stone (crushed), according to numbers compiled by the USGS for the Mineral Commodities Summary 2014 which should be published by next month. The USGS graciously provided me the summary numbers to release in a speech today to the Arizona mining community. 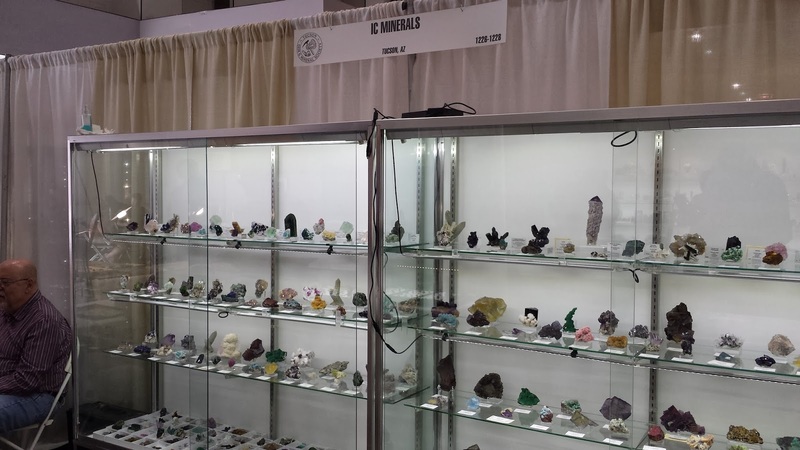 Arizona maintains its status as the second biggest mineral producer in the U.S. behind Nevada, with $9.04 billion in production. Nevada's gold production increased by about 500,000 oz last year but it was offset by the significant drop in gold prices, resulting in Nevada's mineral production decreasing $2.2 billion. Arizona accounted for 10.16% of all non-fuel mineral production in the country. Thanks to Michael Magyar, Associate Director of the USGS National Minerals Information Center for getting the statistical data released in time for our use. 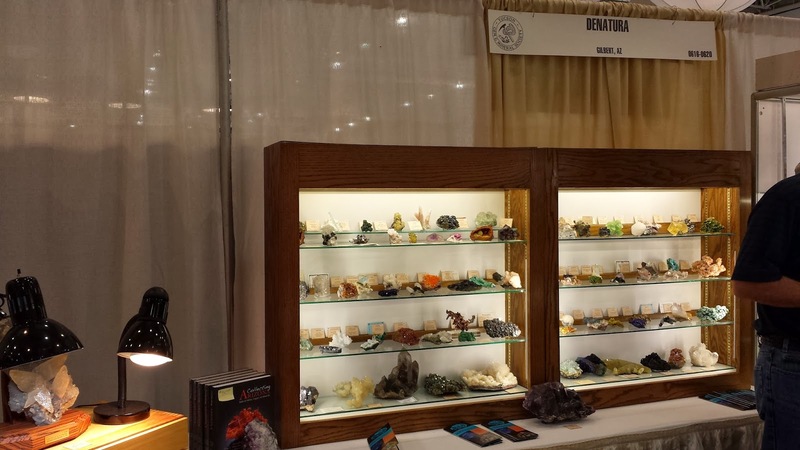 The show has all new display cases and reorganized show floor in the Convention Center, that should make it easier to find and view the exhibits. Announcement coming on Arizona potash?